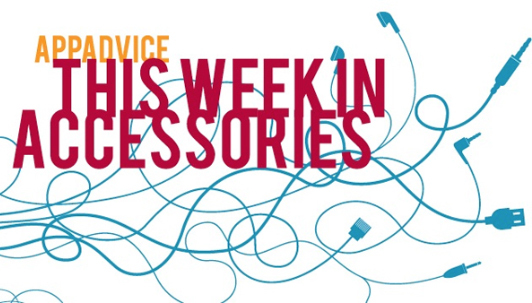 Happy Friday, and welcome back to our weekly look at some of the newest iOS device accessories to hit the market. In this edition, we highlight a high-end bumper for both iPhone 6 models and much more. A truly minimalist protection solution, the Al13 v3 is an aluminum bumper that completely wraps around an iPhone 6 or iPhone 6 Plus. Buyers can select from five different bumper colors – silver, champagne, space gray, matte black, and green. The iPhone 6 version is $79.99 while the iPhone 6 Plus edition is $5 more. Both can be ordered now from the company’s site. 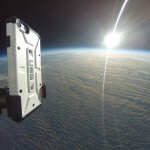 Photojojo is on a roll with another great accessory for any iPhone photographer. 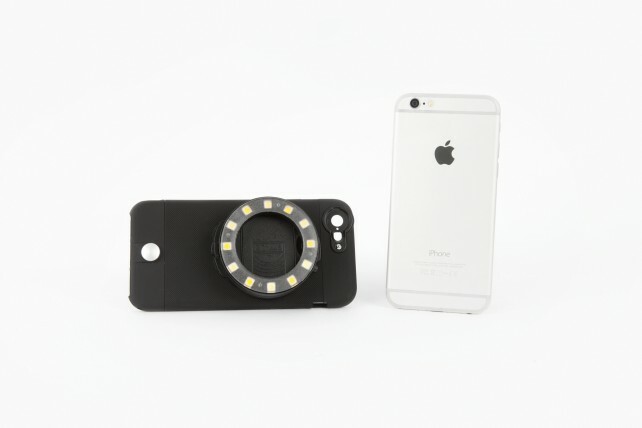 The pictured Ring of Light is a constant light to help make your portraits, videos, and even macro shots evenly lit. The light’s brightness and temperature can also be adjusted with two dials on its side. As a nice touch, the ring is powered by three AAA batteries and won’t drain your phone’s battery. You can select from two different options. For $85, you can purchase the light ring and a compatible case for the iPhone 6 or iPhone 6 Plus. The ring light itself is just $55. Both are available now from Photojojo. The new Bolt Briefcase from Waterfield Designs can hold a number of gadgets, including an iPad or iPhone. Along with a removable shoulder strap, the front pockets can secure your belongings with invisible magnets. Two different sizes are available to purchase. The small version of the briefcase is $249 while the larger version is $30 more. A number of color options are available. 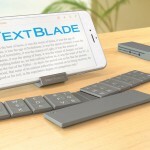 The small version can fit up to a 13-inch MacBook Air while the larger edition can hold larger laptops with screens up to 17 inches. PureTek is making it easy to install a glass screen protector with its new flexible solution. Just put your handset in the application tray, and then roll the protector on. PureTek promises that the protector is compatible with cases. 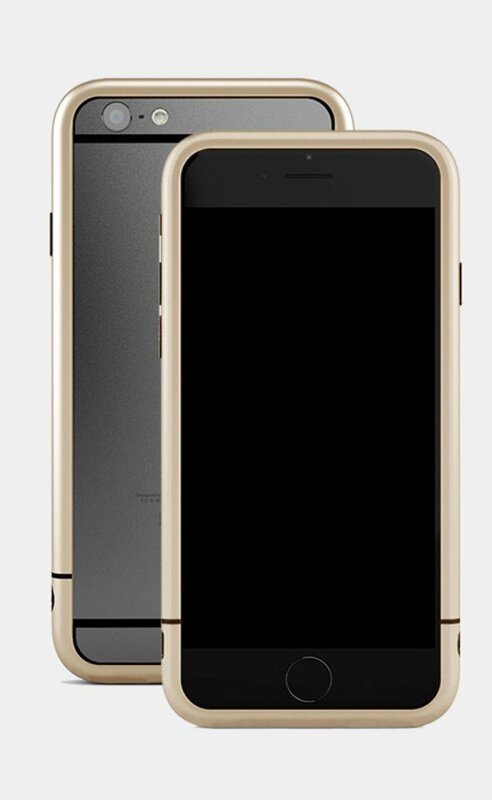 The protector for either the iPhone 6 or iPhone 6 Plus is $39.99. First introduced last week at CES 2015, Griffin has unveiled a new version of its Twenty Digital Audio Amplifier. 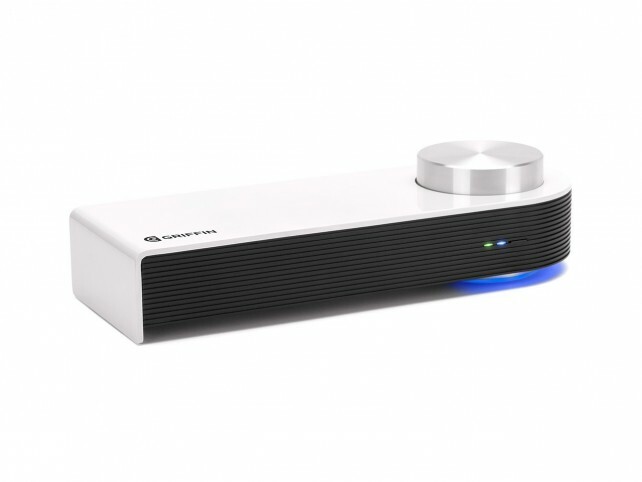 The amplifier receives Bluetooth or optical streaming from a phone, tablet, or computer. It weighs less than 30 ounces and also has a sub-out link to add in an existing subwoofer. Griffin is offering the amplifier itself for just $149.99. But if you need some speakers as well, you can purchase a $299.99 or $599.99 bundle. 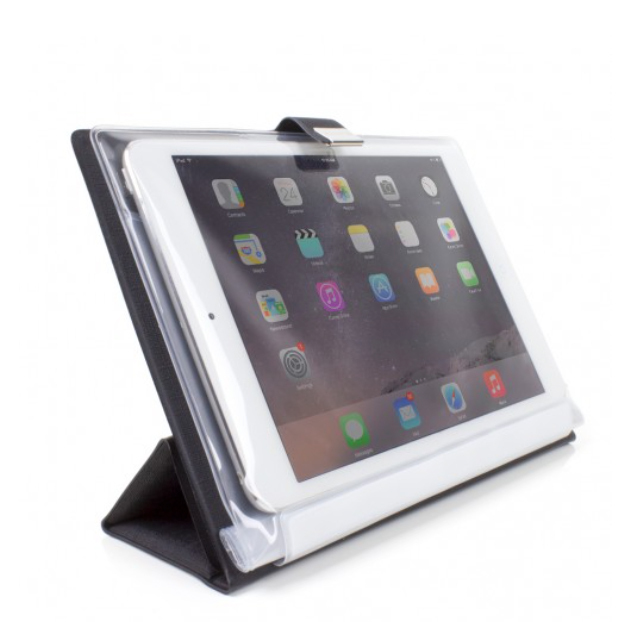 This inexpensive waterproof case fitting all three generations of the iPad mini can protect your tablet from water, dirt, snow, and mud. The touch sensitive screen even allows you to use the tablet while in the case. It is available in black and can be ordered now from Satechi’s site for $24.99. Bryan M. Wolfe takes a closer look at this high-end wallet-style case.